In the past seven days, two attempted ambushes on police by blacks in St. Louis have failed. One of the most frequently quoted and photographed Ferguson protesters was charged Saturday with setting fire to a Berkeley convenience store last week. St. Louis County police arrested Joshua Williams, 19, of St. Louis, on Friday after several local media outlets and store surveillance captured images of him trying to set a pile of wood on fire outside the QuikTrip on North Hanley Road early Wednesday. Williams confessed to setting fires at the store in a videotaped interview, according to court documents. Williams has been quoted as an advocate for peaceful protests. Well, actually you can, but that's a lesson for another day. April Fields’ killer hid in the back seat of her car in January, then stabbed and strangled the 25-year-old woman after she dropped off her daughter at day care. Nick Kapusniak, 20, died in March in a drive-by shooting during a backyard party with his fraternity brothers. Kourtney Warren, 23, was killed Nov. 21 when an apparent drug deal erupted into a gunfight at a Phillips 66 gas station. Those people may not have been connected in life but are linked in death as part of a somber tally of about 190 people who died violently in St. Louis and St. Louis County in 2014. Their names will be read aloud tonight at an annual New Year’s Eve vigil to remember those murdered in the area this year. The 159 murders in St. Louis this year — through Tuesday — have made 2014 the most violent of recent years, with at least 39 more murders than last year. It’s the highest yearly tally of criminal homicides since 2008, when the city recorded 167 murders. University of Missouri-St. Louis criminologist Rick Rosenfeld said the increase in homicides in four north St. Louis neighborhoods alone — Wells Goodfellow, St. Louis Place, the West End and Kingsway East — accounted for most of the year’s overall rise in murders. Police Chief Sam Dotson said he believed one of the reasons for the increase here since August could be what he has called the “Ferguson effect,” the belief that criminals became more emboldened since the Aug. 9 killing of Michael Brown by a Ferguson police officer. Dotson said he believed crime rose in part because police were diverted from regular patrols to special details focusing on civil unrest. Most of the victims were black and male, as were most of the suspects in cases in which a suspect description is known. This month, Dotson asked the mayor to find money to hire 160 more city officers over the next two years. That followed the death of Bosnian immigrant Zemir Begic, 32, who was beaten to death by a group of teenagers with hammers in the Bevo Mill neighborhood Nov. 30. Three days later, a woman was killed and five other people were shot in an attempted robbery at Pooh’s Corner, a bar in south St. Louis popular with retired and off-duty police. Dotson also vowed to return to hotspot policing now that officers are spending less time focused on protests in the city. The real homicide total actually may be higher than 158 because the city’s medical examiner has yet to rule whether at least four deaths police dubbed “suspicious” were homicides. Two-thirds of all murder cases in St. Louis are still unsolved. That includes the death of Kapusniak, a student at the St. Louis College of Pharmacy who was hit by gunfire from a car passing through an alley in the 2700 block of Accomac Street on March 1. His mother, Renee Kapusniak, said she was concerned about the growing violence in St. Louis. Kapusniak said she last spoke with police a few months ago and was told there were no fresh leads. But she isn’t giving up hope. The hallmarks of the black community: black violence lowering property value, ensuring those home owners a wet time with their mortgage and negative equity. With a fierce devotion to the code of "No Snitching," the bulk of violent black people who have engaged in homicidal behavior remain at large to do it again. The "code of silence" among black criminals and the black population that breeds, shelters, and protects them represents a civilization-stunting phenomenon. 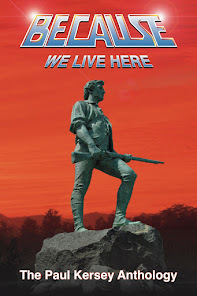 Those white people daring to restore civilization to the vast acreage's of land overwhelmed by the black undertow become victims of the random violence that drove away whites decades ago. For decades, the black population in St. Louis has been solely responsible for the city having a high homicide rate as well as a nonfatal shooting problem. The streets of St. Louis and North St. Louis aren't violent; it's the black population of St. Louis and North St. Louis that makes these streets uninhabitable, even for ghosts. So as 2014 comes to an end, the continued stagnation of human evolution via the toxicity of liberalism and its adherents steadfast (slavish) devotion to black improvement/empowerment means we will continue to more of the same in St. Louis - and all of America - in 2015. But the day will come when this rerun ends. Our task is not to speed up this moments arrival, but survive until it arrives. The black newspaper, The St. Louis American, published an article containing perhaps the greatest quote you'll ever, ever read. Courtesy of Families Advocating Safe Streets (one of those uniquely black organizations found in any urban area of America with a high percentage of violent blacks engaging in behavior contrary to the #BlackLivesMatter meme), we get the absolute best quote ever on the inherent reality of the Bell Curve. African Americans in St. Louis do not mourn only victims of police violence, as critics of the Ferguson protest movement frequently claim. In fact, this New Year’s Eve will mark the 23rd annual prayer vigil for victims of violence organized by Families Advocating for Safe Streets. “It’s for people who lost their lives to violence in the past year,” said St. Louis Alderman Sam Moore, vice president of the organization. The 23rd annual prayer vigil will be held 4 p.m. New Year Eve’s at William’s Temple Church of God in Christ, 1500 Union Blvd. at Martin Luther King Boulevard. When Moore was interviewed on December 18, and still at press time, there were 149 homicides in St. Louis in 2014. 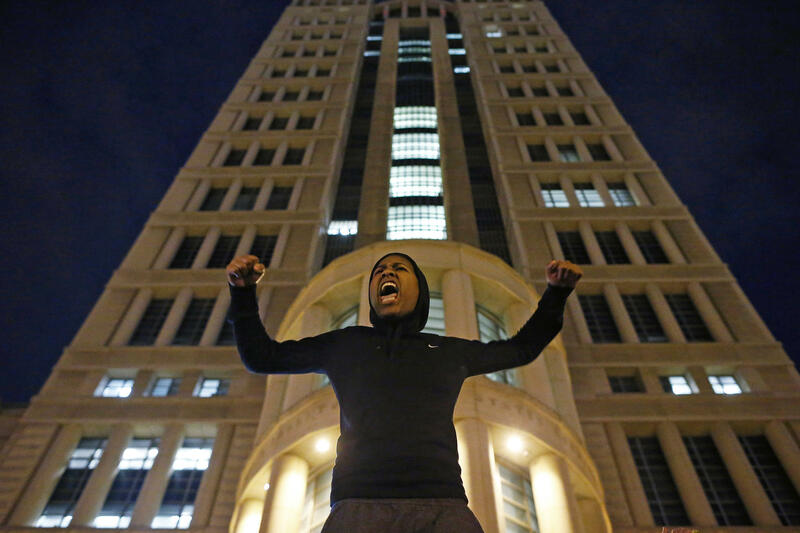 Of those 149 people killed in the city, two – Kajieme Powell and VonDerrit Myers Jr. – were killed by police officers. But Moore and his organization, which was founded and is still led by Jeanette Culpepper, also work with police to solve homicides in the city. It is not easy, Moore said, because many people distrust the police – and fear criminals. The enemy on the street is formidable, Moore said, as he sees street criminals adapting to police better than the cops sleuth them. One crime story Moore does not buy is the reported racial tensions between blacks and Bosnians following the street murder of a young Bosnian man, allegedly by a group of black and Hispanic teens. Moore is focused on his North Side 4th Ward, which badly needs redevelopment. There are seven empty lots on the very block where he lives. He offered pop cultural comparisons to describe North City’s underdevelopment. It might just be me, but I'd say Moore denigrated Fred Flintstone and the good citizens of Bedrock by comparing their harmonious community to the undeniably primitive conditions of heavily black North St. Louis -- conditions that are merely a reflection of the type of community the individual black people there can collectively create. "White line's in the middle of the road, that's the worst place to drive." So a memorial to a dead black male is sitting in the middle of Canfield Drive in Ferguson. A relic fit only for the age of Black-Run America (BRA): the shrine to the Michael Brown in Ferguson is - seriously - in the middle of the road on Canfield Drive. A Ferguson police spokesman was placed on unpaid leave after acknowledging remarks to a Washington Post blogger in which he called the Michael Brown memorial a “pile of trash,” city officials said Saturday. One day earlier, the city stood behind the spokesman, Officer Timothy Zoll — claiming he had been misquoted — after an inquiry into the damaged memorial in the middle of Canfield Drive. But officials retreated in a one-page statement issued Saturday. Zoll was “confronted with the results” of a department investigation into the remarks attributed to him, city officials said. The officer “admitted to department investigators” that he made the statement attributed to him” and had “misled” superiors about the interview. The unpaid leave is effective immediately while disciplinary proceedings begin, according to the statement. City officials emphasized that Zoll’s remarks “do not reflect the feelings” of the Ferguson Police Department. The former police officer was standing toward the back of the bar, nursing a can of Natural Light, when the crack of gunfire shattered the vibe. Three armed men barged into Pooh’s Corner about 11 p.m. Dec. 2 and ordered everyone to the floor. At least one fired a shot into the ceiling. The former police officer at the bar shot his .357 Magnum snubnose at one of the robbers standing nearby, hitting him in the eye. The retired cop said the gunman collapsed, and he kicked a pistol away before emptying his cylinder at the muzzle flashes near the front door. One of the armed robbers escaped the shootout and is still on the loose. The former officer, who served in the St. Louis Police Department for eight years in the 1970s, asked not to be identified because he fears retaliation against him or his family. It was the second time since 2008 that the ex-cop who tends bar part-time at the Carondelet neighborhood tavern opened fire to fight off would-be robbers. Five people were wounded in the latest gunfight at Pooh’s Corner, at 6023 Virginia Avenue, including the ex-cop and two of the robbers. A bar patron, Diana Lawrence, 63, of St. Louis, died the next day from a shot to the back of her head. It is not clear who shot her, but witnesses have said Lawrence was sitting at a table with her back to the robbers when she was shot. Autopsy results are not yet available. "The former officer... asked not to be identified because he fears retaliation against him or his family." This comment is a reminder the black community of St. Louis immediately sides with those who break the law and will strive for retribution against those who dare impede their comrades ability to rob businesses like Pooh's Corner. A Berkeley police officer fired at least three shots at a suspect who pulled a gun on him, the St. Louis County Police chief said at a Wednesday morning news conference. Police Chief Jon Belmar said the officer was doing a business check at a Mobil on the run station about 11:15 p.m. Tuesday when the shooting happened. The officer saw two people on the parking lot in the 6800 block of North Hanley Road and began talking with them. Belmar said one of the people approached the driver's side of the vehicle.One of the individuals "produced a pistol with his arm straight out, pointing it straight at the officer kind of from across the hood," Belmar said. At that point, the chief said, the officer got his service revolver "and fired what we think is three shots." The officer, who is 34 and white, is a 6-year veteran of the department, Belmar said. He was placed on investigative leave, which is standard. Belmar said one round struck the suspect, an 18-year-old black male, and one struck a tire of the police car. Police said they did not immediately know where the third round went. From the videotape released by St. Louis County Police and Belmar's description, the officer was near the front driver's side of the vehicle and the suspect was on the other side, near the car's headlights, when the shooting occurred. As the officer points his gun, he is backing away and loses his balance, Belmar said. As he fell, he dropped his flashlight and fired off at least three shots. The suspect was pronounced dead at the scene by EMS units. Berkeley police called the county's crimes against persons unit at 11:45 p.m., and they arrived at the scene at 12:15 a.m., Belmar said. The body, which was covered and concealed from the crowd by a partition, was removed from the scene at 1:40 a.m., Belmar said. He also said the 9 mm gun found on the suspect had five rounds in the magazine and one round in the chamber. He also said the gun's serial number had been filed off. Belmar declined to release his name at the news conference but said he had a criminal record, with charges including three assaults, armed robbery, armed criminal action and multiple uses of weapons since he was 17. A woman at the scene overnight, Toni Martin, said it was her son, Antonio Martin, 18. To truly understand why the unidentified cop who saved numerous lives at Pooh's Corner on December 2 fears for his life, look no further than Martin's family scrambling to defend their son. Antonio Martin's extended family was in shock early Wednesday, as they waited for details to unfold about the fatal shooting of the 18-year-old at a Berkeley gas station. "This doesn't make any sense for them to kill my son like this," Toni Martin-Green said early Wednesday from her home located near the University of Missouri-St. Louis campus. "I am trying to be calm." Martin mainly grew up in the Hyde Park area of North St. Louis before moving with family to unincorporated St. Louis County a few years ago. Martin attended high school in Jennings before dropping out and had also been enrolled in the federal Job Corps program for a spell. He last worked at White Castle and wanted to go back to Job Corps, his father said. Police say the man shot had a criminal record, with charges including three assaults, armed robbery, armed criminal action and multiple uses of weapons since he was 17. Martin's parents acknowledged that their son has been arrested before and had "stumbled in the past." "In the last year, he was really trying to find who he was. He was ready to take the world on," the father said. "He knew he had parents who loved him. He had that support." "He was not a violent person, to our knowledge," he added. "Around us there weren't any pistols. It's hard to believe that." His grandmother, Margret Chandler, was also in disbelief. "When he was around me, he knew to do right," she said. "Why would he pull out a gun against the police? That's the thing I don't get. It just doesn't add up." Well mom and grandma, when your son wasn't around he was doing everything he could except doing right; now, more violence is breaking in St. Louis because of yet another black male making a decision to directly challenge the states monopoly on violence. And though the American state in 2014 is incredibly, over-the-top, anti-white, the police represent the one instrument standing in the way of a tidal wave of black criminality capsizing the entire nation into the orgiastic violence found on December 2nd at Pooh's Corner. Hold your family a little tighter this 2014 Christmas Eve and remember each incident where a criminal black male dares challenge the authority of police (and their monopoly on violence) is another crack in the American Experiment's hull, proof our nation has "failed...; for as we see a black community prepared to defend Antonio Martin's right to point a gun at a police officer, we view the dissolution of the American Dream and the birth of the American Nightmare. Every so often, the truth inadvertently slips out. NIKOLE HANNAH-JONES published a long article (School Segregation, the Continuing Tragedy of Ferguson Michael Brown beat the odds by graduating from high school before his death — odds that remain stacked against black students in St. Louis and the rest of the country) lamenting the horrible conditions of all-black public schools in metropolitan St. Louis versus the idyllic state of nearly all-white public schools. The nearly all-white public schools consist of individual white students who collectively produce some of the top test scores, highest graduation rates, and stunning rates of efficiency on various standardized tests and in AP course participation in the state of Missouri. Also, the quality of life these individual whites collectively create in their nearly all-white schools is reflected in the low expulsion rate and few disciplinary problems disrupting the education process. The nearly all-black public schools (like the one Michael Brown graduated from) consist of individual black students who collectively produce some of the lowest test scores, poorest graduation rates, and shockingly pitiful rates of efficiency on various standardized tests and in AP course participation in the state of Missouri. Also, the non-existent quality of life these individual blacks collectively create in their nearly all-black schools is reflected in the high expulsion rate, radical disciplinary problems disrupting the education process scaring away teachers and creating huge turnover rates. ON Aug. 1, five students in satiny green-and-red robes and mortarboards waited in an elementary school classroom to hear their names called as graduates of Normandy High School. This ceremony, held months after the official graduation, was mostly for students who had been short of credits in May. One of those new graduates was Michael Brown. He was 18, his mother’s oldest son. He had been planning to start college in September. Eight days later, he was dead, killed in the streets of nearby Ferguson, Mo., by a white police officer in a shooting that ignited angry protests and a painful national debate about race, policing and often elusive justice. Many news reports after Mr. Brown’s death noted his graduation and his college plans. The implication was that these scholarly achievements magnified the sorrow. But if Michael Brown’s educational experience was a success story, it was a damning one. The Normandy school district is among the poorest and most segregated in Missouri. It ranks last in overall academic performance. Its rating on an annual state assessment was so dismal that by the time Mr. Brown graduated the district had lost its state accreditation. Just five miles down the road from Normandy lies Clayton, the wealthy county seat where a grand jury recently deliberated the fate of Darren Wilson, the officer who killed Mr. Brown. Success there looks very different. The Clayton public schools are predominantly white, with almost no poverty to speak of. The district is regularly ranked in the top 10 percent in the state. More than 96 percent of its students graduate. Eighty-four percent head to four-year universities. Hannah-Jones primarily goal with her long article, and it being excerpted at the New York Times, seems to be based on to showcase the magical properties white people have at unleashing black potential trapped if surrounded by only blackness. yeah, in a system based on white hierarchy, proximity to whiteness required for access to opportunity. Duh. It's truly misguided to continue and judge individual blacks by the academic standards established by individual whites, for when they are collectively aggregated we learn the truth of the racial gap in learning is embedded in the genetic code of the respective races. The main question Nikole Hannah-Jones will never entertain is why, in the absence of whites individual blacks can't collectively creating the type of social capital required for thriving communities? If proximity to whiteness is a necessary condition for opportunity, how did those black Ancient Egyptians ever build those pyramids? Available now for your Kindle! If race were a social construct, the Pontiac Silverdome wouldn't be a venue for photographers to capture the awesome images of 'Life After White People'. With this in mind, SBPDL is proud to announce the publication (for ebook) of Detroit: The Unauthorized Autopsy of America's Bankrupt Black Metropolis. Once the most civilized of American cities, Detroit was known by many as the 'Paris of the West'. Now, however, the city of Detroit lies in ruins, victim of its own population. The tragic story of the death of Detroit serves as a lesson -- but what have we learned? 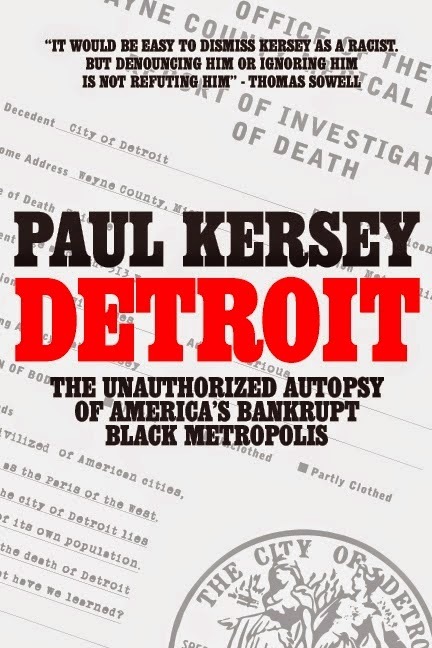 In Detroit: The Unauthorized Autopsy of America's Bankrupt Black Metropolis, Paul Kersey answers this question. His cutting-edge investigation looks inside the corpse of this once-great city and reveals the rot and cancer that ate away its fiscal health over the past fifty years. 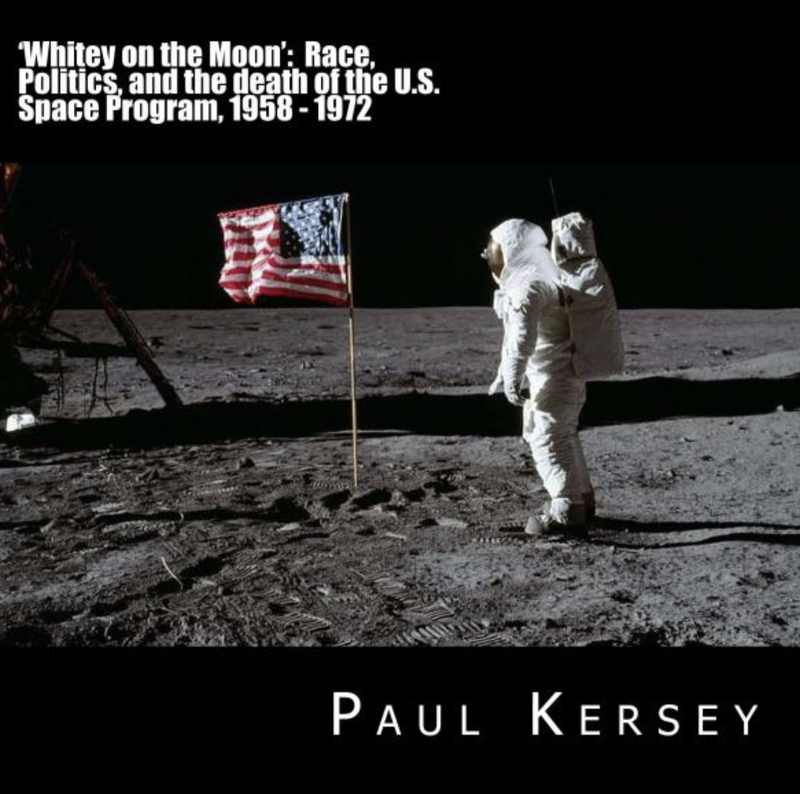 Beloved conservative economist wrote this about Paul Kersey: "It would be easy to dismiss Kersey as a racist. But denouncing him or ignoring him is not refuting him." It's not a pretty sight. Autopsy is an ugly process. But the truth about the death of Detroit must be known. In these pages, Paul Kersey peels away the lies, spin, and fantasy layer by layer and reveals the truth about the death of Detroit. The book will be available in paperback around December 30th (if interested in acquiring a signed copy by Paul Kersey, make a donation for $25 via the PayPal link on the right-side column of this site). Obama Sent Three Officials from his Administration to Michael Brown's Funeral: How many will he send to New York City for the Funerals of Two NYPD Officers? President Obama's address on November 24, 2014 (delivered after grand jury returned verdict in Michael Brown/Darren Wilson case) includes this line Ismaaiyl Brinsley probably agreed with: "And so, we need to accept that this decision was the grand jury’s to make. There are Americans who agree with it, and there are Americans who are deeply disappointed, even angry. It’s an understandable reaction." All of society lives in the age of Obama, where black people (and many white liberals) have gladly put a needle into their arms and pumped an endless supply of Bull Connor, Emmett Till, To Kill a Mockingbird, A Time to Kill and Jim Crow into their veins. Ferguson wasn't the country stepping back in time; it was the country being forced to confront a future where the honesty of The Bell Curve is censored, the genetic reality for 'income inequality' replaced with the dishonest narrative of never-ending white supremacy holding the black population down. On December 20, 2014, two non-white police officers found out what 'living in the age of Obama' (the words of New York Review of Books author Daryl Pinckney) means, when a black man shot them dead. Was Ismaaiyl Brinsley in attendance at Farrakhan's speech when he pleaded with the black crowd, "Let's die for something?" No matter: it's highly unlikely anyone from the Obama Administration will be in attendance when the two New York City Police Department officers are laid to rest, nor would it make sense in this "age of Obama." His indifference to the shooting of death of two cops in New York City is "an understandable reaction" when you consider the President's track record of throwing police under the bus if it means deflecting the blame of black dysfunction to any other source but blacks themselves. Only days ago, a mob (fueled on the hashtag of the moment, #BlackLivesMatter and #EricGarner) in New York City marched. Neither cop Ismaaiyl Brinsley executed was white, but both cops wore the same uniform as Officer Darren Wilson. Both cops Brinsley executed were culpable in Michael Brown's death on August 9th, merely because the mainstream/corporate media (looking at you Jon Stewart) and the Obama Administration has declared war on the concept of law and order, advocating instead for the ascension of "if its black, you must get back" concept of policing. Both cop, in Brinsle's mind, were responsible for death of Eric Garner. Eventually, the energy from the #BlackLivesMatter, #EricGarner, and all those 'die-ins' at malls and public places throughout America was going to manifest into something ugly, and only six days after a march through the Big Apple heard the cry for "dead cops" echo throughout the dark landscape of the city, two New York City police are dead. The championing of thugs as the highest form or morality has consequences, and the #BlackLivesMatter movement now has a face and a name: Ismaaiyl Brinsley. New Orleans to be exact. Nearly 50 rounds were fired during a Mid-City shootout Tuesday afternoon and five men arrested in connection to the shooting now face high bonds and a slew of felony charges. Quincy Jynes, 27; Clarence Singleton, 29; Riginald McCoy, 18; Darius Green, 27; and August LeBlanc, 27 are facing charges including aggravated battery, simple escape and aggravated assault, among others, records show. 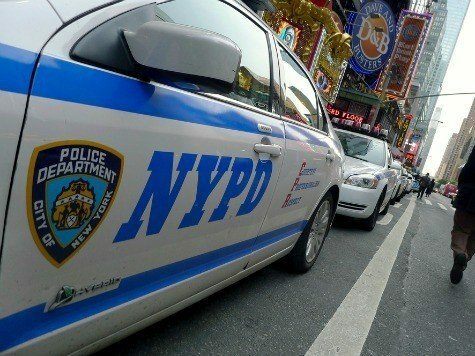 The mid-day melee prompted an hours-long manhunt where police officers cordoned off wide swaths of blocks surrounding Canal Street, causing lengthy delays for drivers in the area. Police said seven cars were struck by gunfire during the shootout. Officers working at an NOPD substation in the 3000 block of Tulane Avenue caught wind of the shooting within minutes after hearing gunfire and seeing several men flee the area. 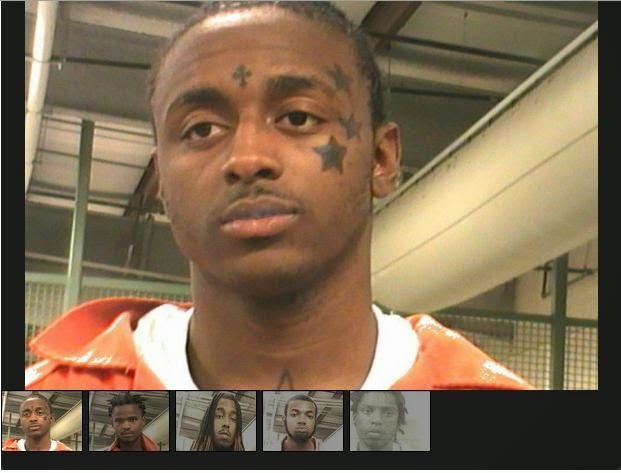 According to an arrest warrant filed in Orleans Parish Criminal District Court, about 3 p.m. NOPD Sgt. Dan Anderson saw several men running away from the scene of a shooting in the 3200 block of Tulane Avenue. A man seated inside a white, bullet-riddled four-door sedan was injured in the shooting and rushed to an area hospital for treatment. Police units in the area initiated a chase after which the suspects bailed out of their car and attempted to flee on foot. Three of the five men believed to be involved in the shooting were arrested shortly after the gunfire, within blocks of the incident. The NOPD said an Orleans Parish Sheriff's deputy who was on the scene saw Green try to flee across Tulane Avenue while tossing a gun he was carrying. Another man, identified as Singleton, was seen running about one block away, near the intersection of Jefferson Davis Parkway and Tulane Avenue. Police said Singleton was seen on surveillance camera tossing a weapon to the ground while attempting to flee. Both Green and Singleton were arrested on the scene. Meanwhile, police had shut down Canal Street in both directions at Telemachus Street and a search perimeter was established between Canal and Iberville streets and between Telemachus and South Cortez streets. Leblanc, who police said was one of two men seen fleeing a gold SUV while carrying a gun, was discovered trying to exit the perimeter after discarding a sweatshirt. He was arrested on the scene. Officers searching for the remaining two men were then tipped off that a man who matched the description of one of the suspects was at a home in the 3700 block of Iberville Street. There, police said, workers outside the house told officers that a man dressed all in black had just walked inside and tossed clothes over the fence. McCoy was found inside the home and arrested, police said, adding that two guns, a black face mask, and a discarded hooded sweatshirt were found near the back of the home. Lastly, Jynes, who police say was the driver of the gold SUV, was apprehended inside the perimeter. En route to the police station, Jynes escaped out of the back of the police car but was caught a short while later, a couple of blocks from the 1st District police station, the report said. Quincy Jynes: One count each of resisting an officer, simple escape, aggravated battery, aggravated assault, illegal use of a weapon, possession of a firearm by a felon, and aggravated flight from an officer. Bond was set at $450,000. Riginald McCoy: One count of aggravated battery, one count of resisting an officer, two counts of aggravated assault and one count of illegally carrying weapons. Bond was set at $425,000. Darius Green: Four counts of aggravated assault, one count of illegally using a weapon and one count of illegally carrying a weapon. Bond was set at $450,000. August Leblanc: Two counts of aggravated assault, one count of aggravated battery, one count of resisting an officer and one count of illegally carrying weapons. Bond was set at $458,000. The victim of the shooting, Melvin Hayes, reportedly exchanged gunfire with members of the group, but police records do not indicate who fired the responding shots. Hayes was cited for a probation violation but not booked on additional charges as of this date. Police have not cited any motive for the shootout. More than 50 rounds fired, with only one person injured. What should be a remarkable story made unremarkable because of the frequency at which black people engaging in nonfatal shootouts now occurs. In five years time, the small town of Ferguson will hardly be mentioned at all. Instead, scores of other once prosperous/now economically declining cities (once meaning "all white," with now meaning, "boasting aging white, growing black population") will have usurped the energy of those demanding "Justice for Mike Brown" or hilariously asserting #BlackLivesMatter. Never mind the cheapness of black life in a city such as Milwaukee or New Orleans (the latter city launching the "NOLA For Life" campaign to convince black people to stop killing other black people). Or Birmingham, Nashville, Newark, Chicago, Camden, Baltimore, Rochester (New York), Philadelphia, or Minneapolis, where black life only matters when it is extinguished by a white cop or white property owner daring to defend their family or business. But in five years time, when the 2020 U.S Census is being compiled and the city of Ferguson (100 percent white in 1970; 86 percent white in 1980; 77 percent white in 1990) registers an 85 percent black population - complete with an all-black city council, black mayor, black police chief, and woefully underfunded majority black police force - the victory over the perceived white supremacy Officer Darren Wilson embodied will be complete. 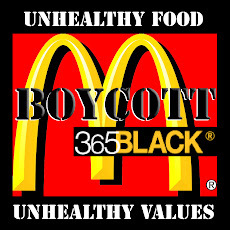 The consequences of this racial victory will be the creation of just another food desert, where liquor, title pawn and check cashing stores provide the bulk of the tax-producing economic activity in the city; but the political victory of establishing a city of the blacks, for the blacks, and by the blacks will be complete. One can even envision a statue erected to the memory of Michael Brown in a prominent location of the city, commemorating his death as the moment racial vengeance could be exacted and political control of Ferguson in black hands could be established. At the time of Brown's death on August 9, 2014, Ferguson was 67 percent black; with demography being destiny, the city's fate was already sealed, but the lack of black political control had yet to catch up to the white abandonment of the city. And as the unrest grew in the hot summer of 2014, one business decided to pull up stakes. K-Mart, an embattled big box store (that might not even have one store opened in 2020 America), closed its Ferguson location: the long-term health of the store, built in a city to service a population that had long since abandoned Ferguson, wasn't looking to be in the financial black. The economic conditions individual white people collectively create form something outside investors realize is the perfect reason for building a store or restaurant in this community: social capital. Social capital can be defined simply as children and teenagers walking on the sidewalk instead of monopolizing the middle of the road and deliberately disobeying the law (Michael Brown would still be alive had he simply walked on the side of the road after stealing the Swisher Sweet cigars). But the latter scenario is what birthed the "Justice for Mike Brown" movement, a clear reminder the health and vitality of a city is completely reflected in its demographic makeup. A major chain is shutting down its store in Ferguson. 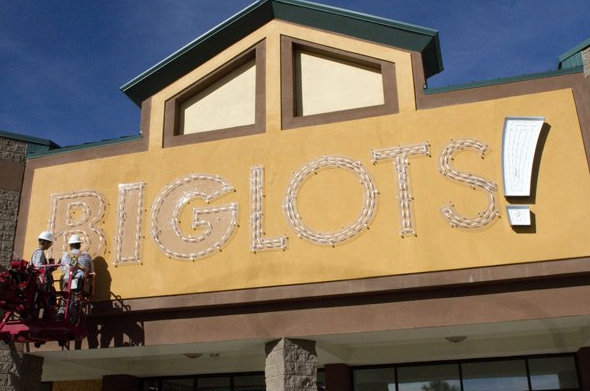 Big Lots is the second national chain store that has closed since the death of Mike Brown. Neither Big Lots, nor KMART, who previously announced the closure of its Ferguson store, are linking the shut down to the area unrest but some small businesses are feeling the pinch. “Once my lease is open I think I will have to move,” said Binh Ho. Ho owns a nail shop near the Big Lots and said her business has been down 50 percent. Her neighbor, Salon Selective, also shut down. “I worked at Salon Selective and I lost my job. She closed up after the riots her clients did not want to come over here anymore because of all the things going on,” said Carolyn Tidwell. The Kmart at 270 and West Florissant announced in September it would close. “It’s really bad because we don’t have anywhere to go as is if these things shut down where are we going to go we have nowhere else to go,” said resident Sandy Rason. After all, the Visible Black Hand of Economics will have driven away all major chains from the city, save those immigrant-owned grocery stores interested in working behind plexiglas and subsisting on an EBT/Food Stamp carrying clientele. Political control of Ferguson will be entirely in black hands, but never forget the concept of black power/empowerment is the ultimate EMP; Detroit is the roadmap for any neighborhood, community, city, municipality, or county that goes from being all-white to all-black. Ferguson's fate is sealed, with companies that must answer to stockholders already seeing the black writing on the wall; but the truly scary thing about modern America is the vast number of neighborhoods, communities, cities, municipalities, and counties undergoing similar demographic transitions. The concentration of political power into black hands is, almost invariably, the unleashing of an economic EMP on the city foolish enough to vote their own ruin into office. For the more we attempt to believe race is a social construct, the civilization whites constructed inevitably collapses when blacks try and maintain it. Ferguson is not immune to the biological reality of race, reflected in both K-Mart and Big Lots decision to abandon a city where the food desertization process is well underway.